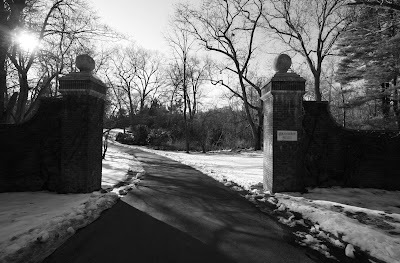 The front entrance to 'Airdrie', the Edwin Fish estate designed by Delano & Aldrich c. 1920 in Matinecock. Fish was a one time mayor of the Village of Matinecock. 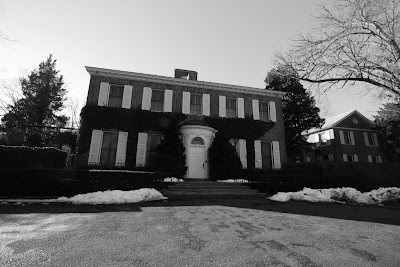 He had Ferrucio Vitale do the landscaping in 1926 and had Innocenti & Webel finish the design in the late 1930's. Click HERE to see 'Airdrie' on google earth. 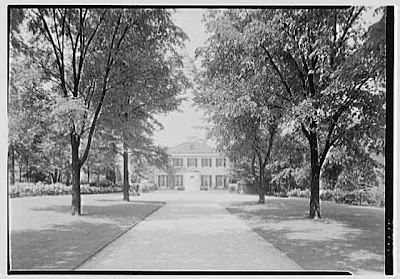 A picture of the estate c. 1930. Now that is a lovely, lovely house.